Valentine's Day is just a few days away....are you ready?? Hopping in just in time for the big day is Huckleberry. I colored the image using Copics and Prisma pencils. This turned out so CUTE!!!!!!!! I love it! i LUB him!!! Awesome job!! 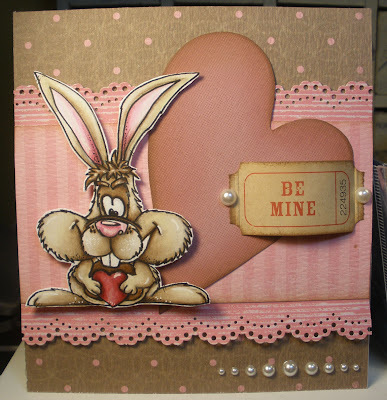 Beautiful card and your coloring is great!